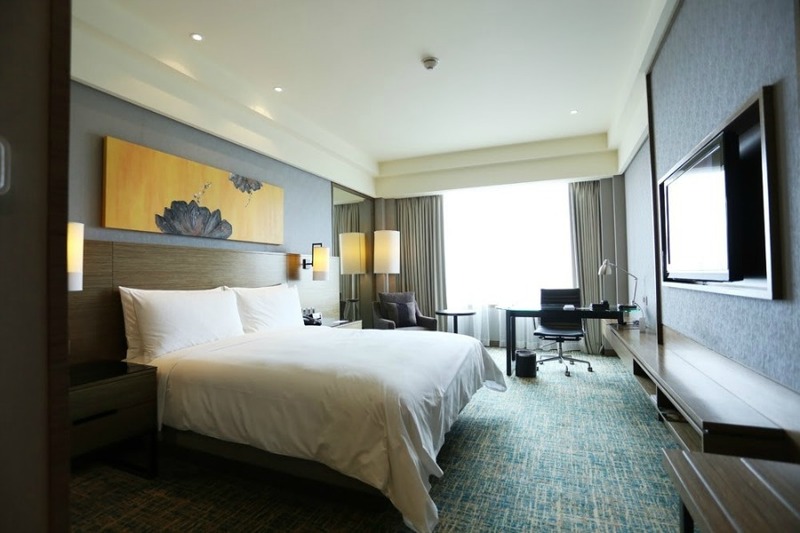 Just a half-an-hour’s drive from Singapore sits the Renaissance Johor Bahru Hotel, the perfect place for a stress-free getaway that goes easy on the pocket. The hotel isn’t that hard to find, with it’s location just opposite the Causeway and with the Istana Pasir Pelangi just a stone-throw away. Not only that, LEGOLAND Malaysia is only 40 minutes away from the Hotel! 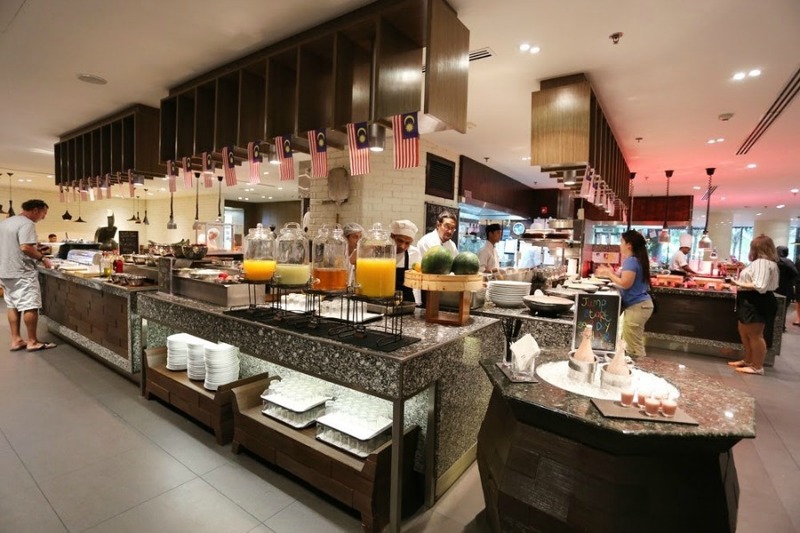 If you’re thinking of bringing your family to the famous Johor Bahru Theme Park then Renaissance Johor Bahru Hotel might be the perfect hotel for your stay. 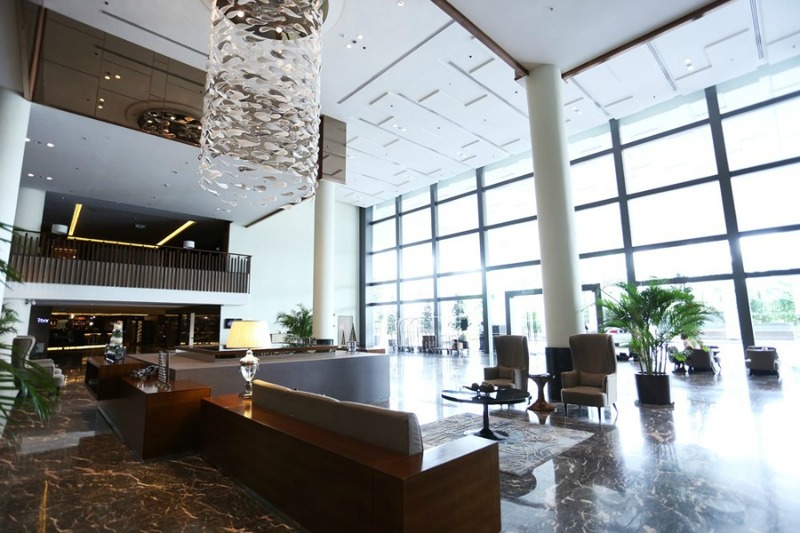 Renaissance Johor Bahru Hotel is actually a 5-star luxury hotel under the Marriott International Group, along with popular hotels like The Ritz-Carlton and Springhill Suites. Upon entering the hotel, you might feel pretty small if you’re of the average build of a Singaporean. With high ceilings and white-painted walls, the place is beautiful with different shades of brown for the furniture. Including the standard Deluxe Room and Presidential Suites, there are a total of 7 different room sizes for guests to choose from, which might leave you spoilt for choice. Every room is equipped with a 42-inch LCD TV with premium movie channels and high speed Internet access, perfect for all you Instagram addicts out there! Our choice of room was the Club Room, which is about 34sqm. 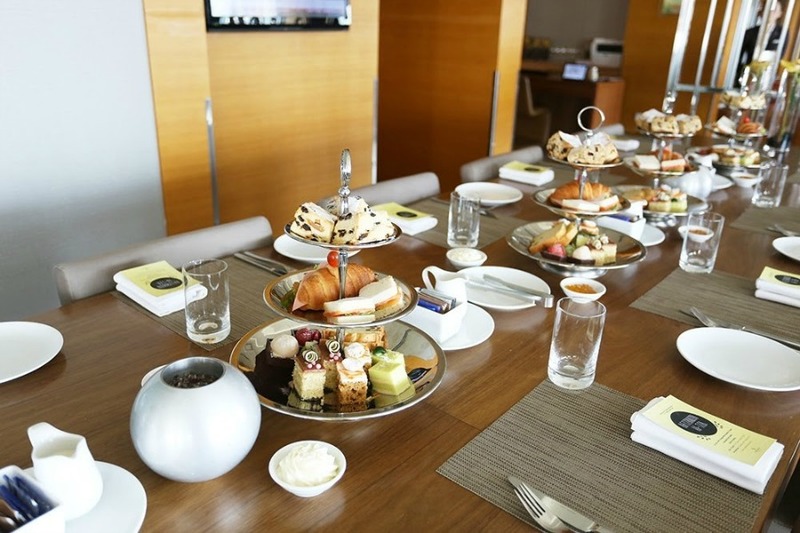 This room grants you with access to the Club Lounge with complimentary afternoon tea and finger foods for guests. This is the perfect place to just lay back and take in the lovely ambience, or simply stuff your face with sweet treats while you sit and catch up with friends. 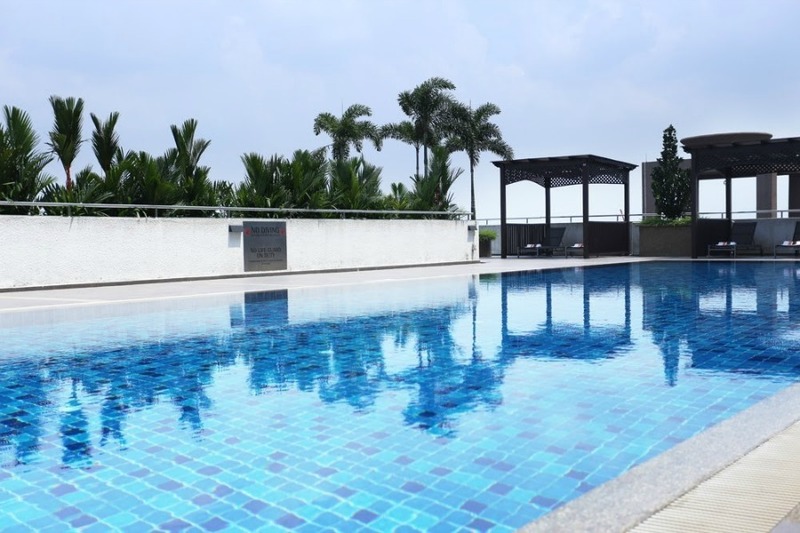 Be sure to to utilise the recreational access to the outdoor swimming pool and gym while you’re there. If you’re not keen on getting wet from the swimming pool then just grab one of the provided towels and soak up all the sun. Just remember not to doze off! You don’t want to turn into a burnt potato from your trip. 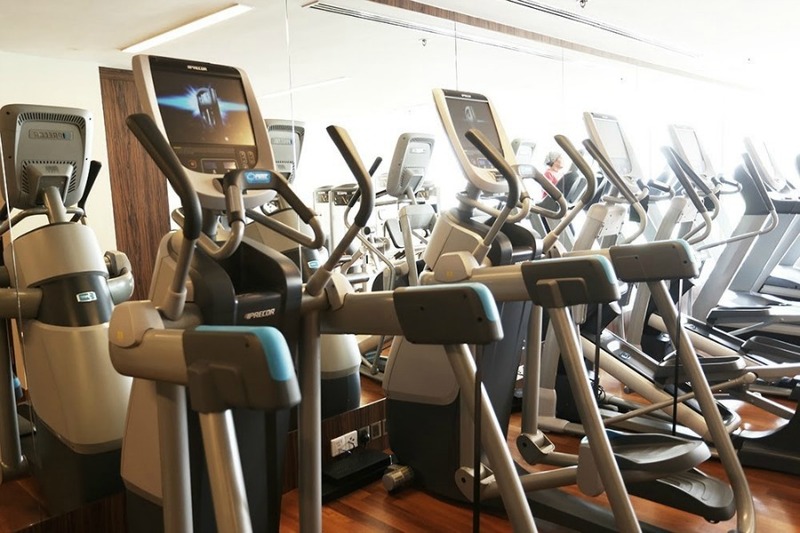 Facilities – Gymnasium with a wide range of equipments, great for a full body workout! 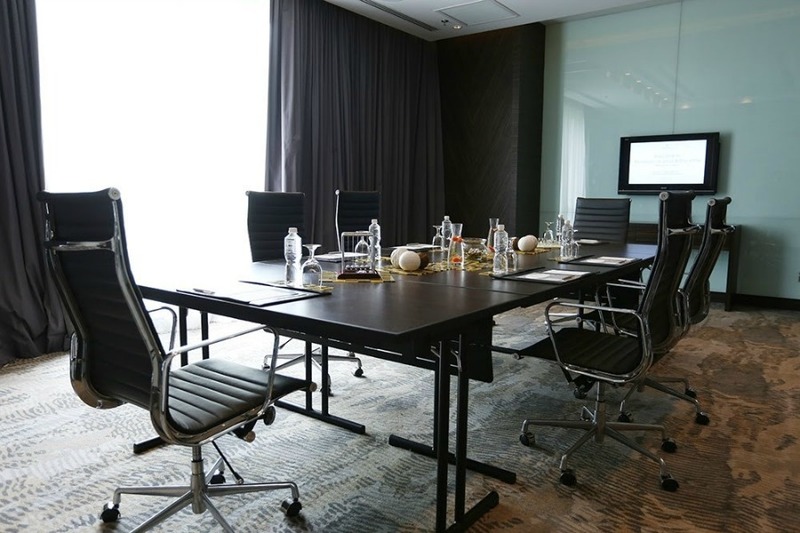 For businesses and events, Renaissance boasts an impressive 7 meeting rooms and ballrooms in different sizes. In addition, design is fully customizable according to guests’ requests. After your sun tanning or light exercise, be sure to head down to Cafe LBD to fill your stomach up before you call it a night. 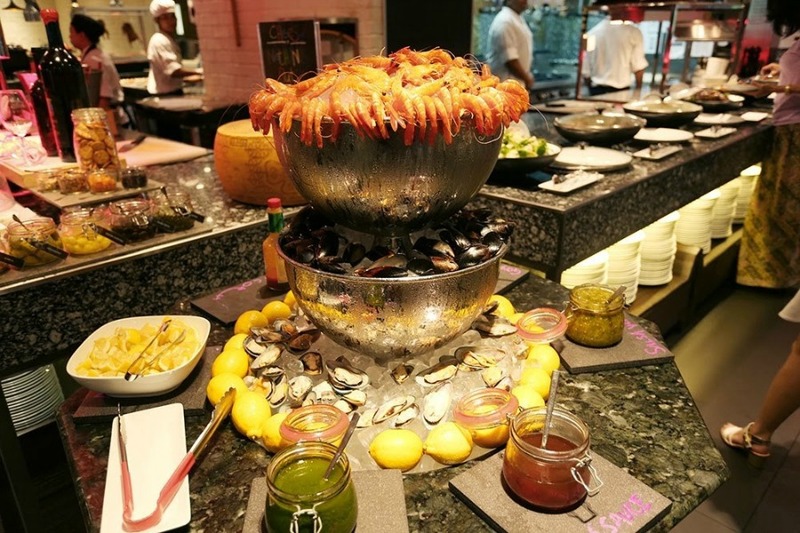 Cafe LBD is actually an all-day buffet cafe, where they offer a wide range of international cuisine for you to choose from. 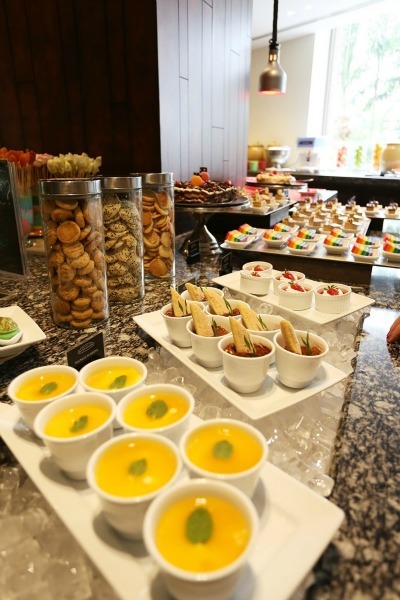 Not only that, the cafe has an eye for detail when presenting their enticing food and desserts. 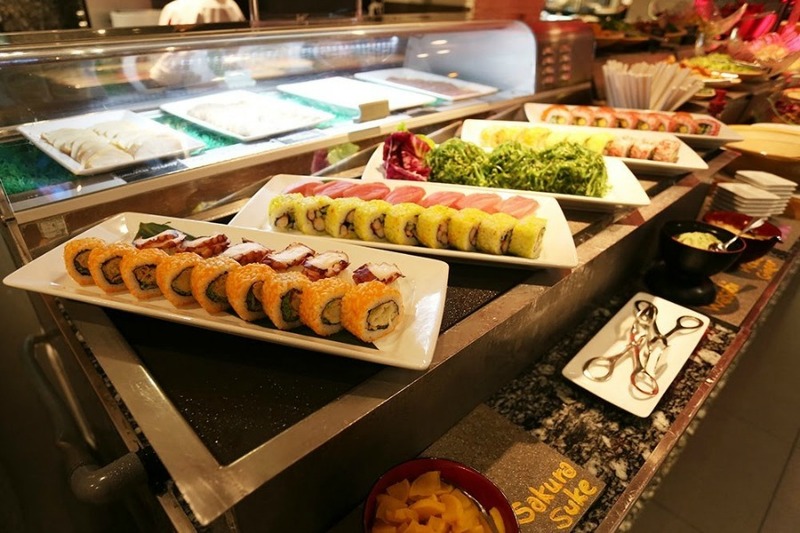 Cafe LBD- Lunch Buffet with a wide array of food to choose from! If you’re the kind of person that would be skeptical about how your dish was made, live cooking stations are actually available in the cafe. Watch how the chefs transform mere ingredients to a masterpiece right before your eyes. That’s what I call, style dining. Cafe LBD- Desserts freshly made, each with its own unique flavour. From puddings to cakes to tarts… The choices are endless! 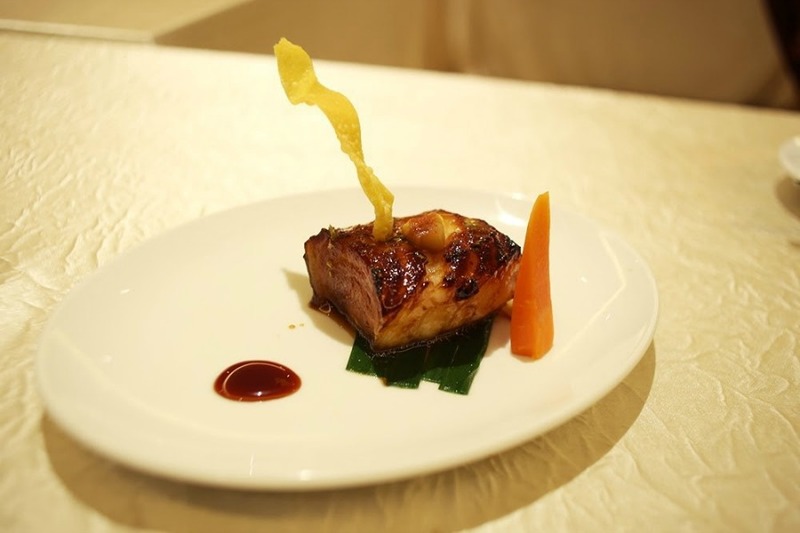 If you’re more interested in fine dining rather than buffets, then you should check out Wan Li Chinese Restaurant. 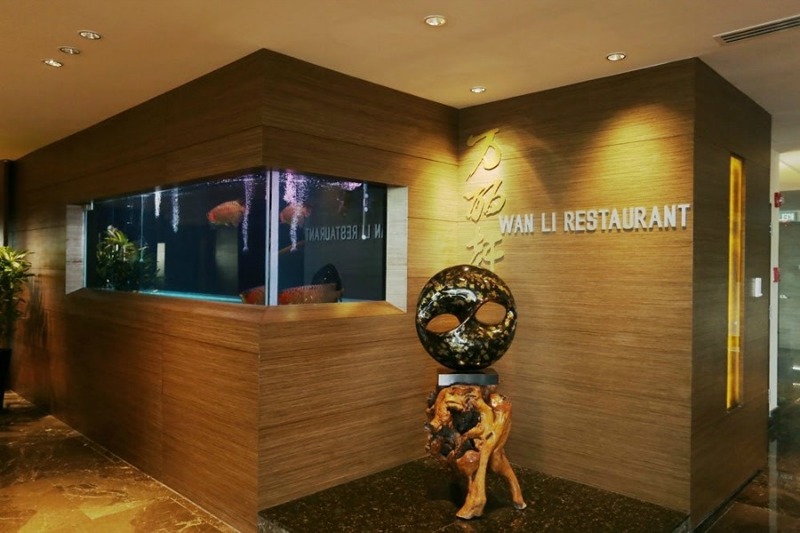 The ambience at Wan Li is more lavish and elegant compared to the one at Cafe LBD, and it provides a more relaxed and sophisticated dining experience. Additionally, Wan Li Chinese Restaurant is actually Halal Certified, perfect for our Muslim friends who enjoy Chinese food. Wan Li Restaurant – Classic Three Combination Platter (Crispy Scallop, Marinated Jelly Fish, Roasted Duck Roll). A great dinner starter. 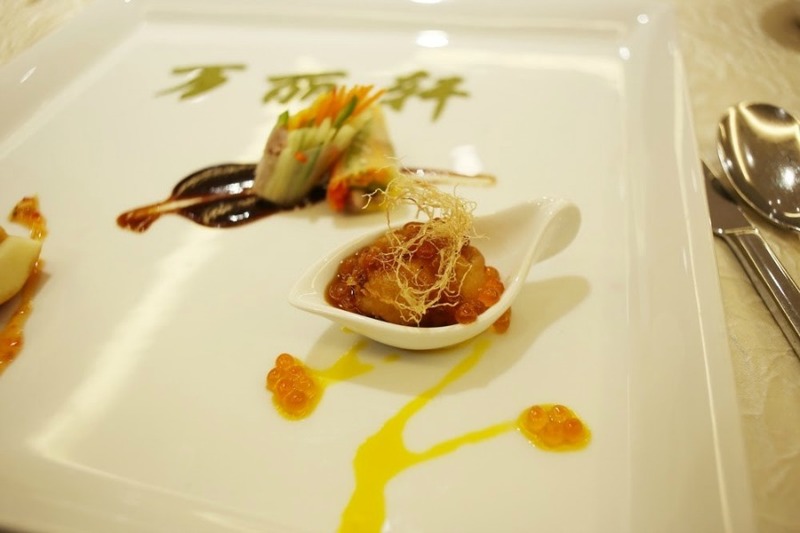 Wan Li Restaurant – Oven Baked Cod Fish Fillet in Honey Sauce. The sauce complemented the fresh-tasting fish perfectly. Would highly recommend this dish to all diners at Wan Li. 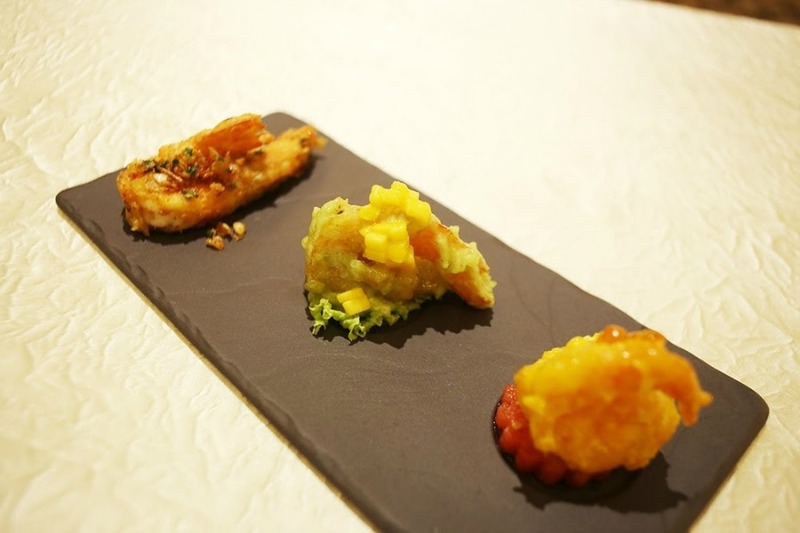 Wan Li Restaurant – Signature prawns in Mango Wasabi, Signature Durian, and Salt and Pepper. Yes, you read that right, durian flavored Prawns. This dish was really interesting and I was surprised that durian and prawns went so well together. 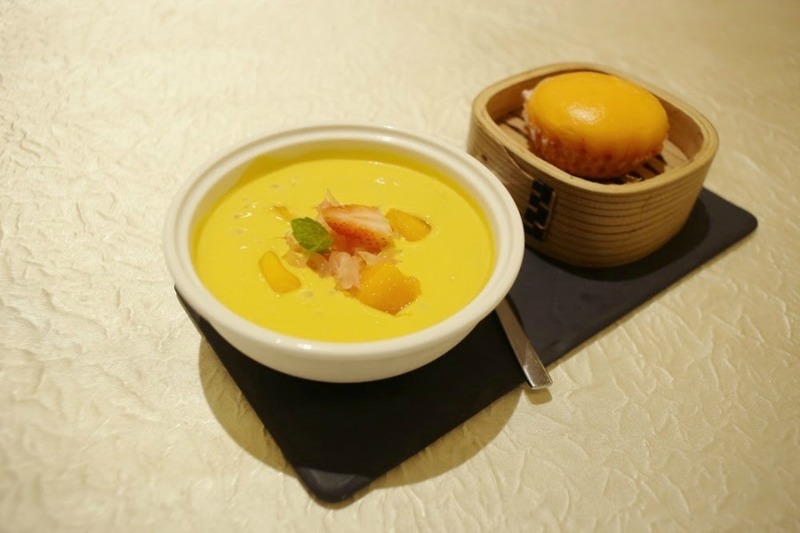 Wan Li Restaurant – Mango Puree with Pomelo served with Golden Custard Bun. Thick mango puree which had the right amount of sweet with a thick texture, slightly similar to the mango sago dessert. The Golden Custard Bun (better known as Liu Sha Bao) has the perfect consistency. 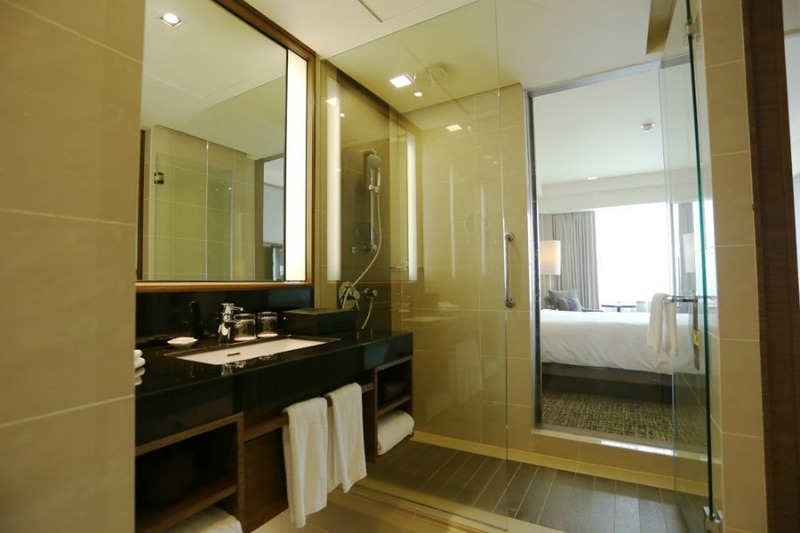 In a nutshell, Renaissance Johor Bahru Hotel makes for a quick getaway from Singapore for families, couples and even business trips. For a 5-star hotel, the price that you are paying for is reasonable and well worth it. In addition, it is located near the city center so getting to town is relatively convenient and easy via cabs.